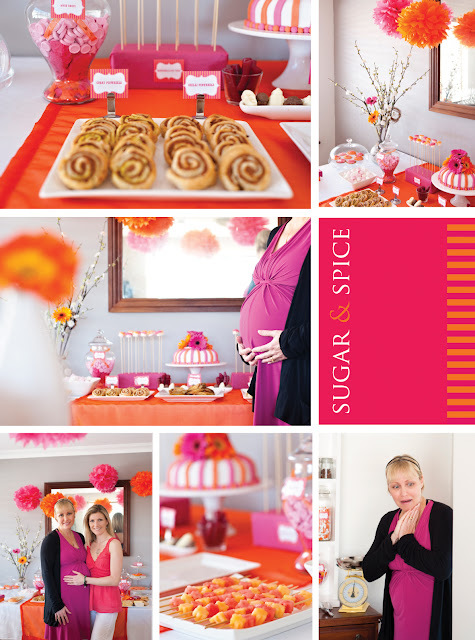 Yesterday I hosted a baby shower for my dear and gorgeous friend Susie, who is pregnant with her 4th child, a little girl. 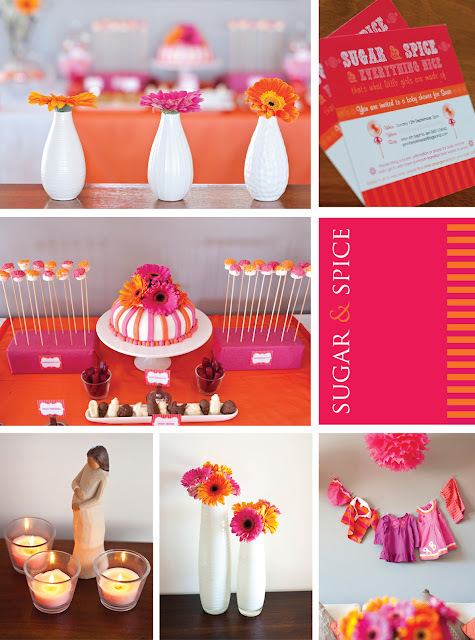 You may remember from a previous post with my inspiration board, that the theme decided upon was "Sugar and spice and everything nice" (that's what little girls are made of). The colour theme was hot pink and orange chosen specifically by our pregnant mumma, as well as the inclusion of gerbras in these colours. There were jars of spice as well as spicy pinwheel pastries - linking the savory with the sweet as they looked like lolly pops - spicy chicken wings and spring rolls with sweet chilli sauce. 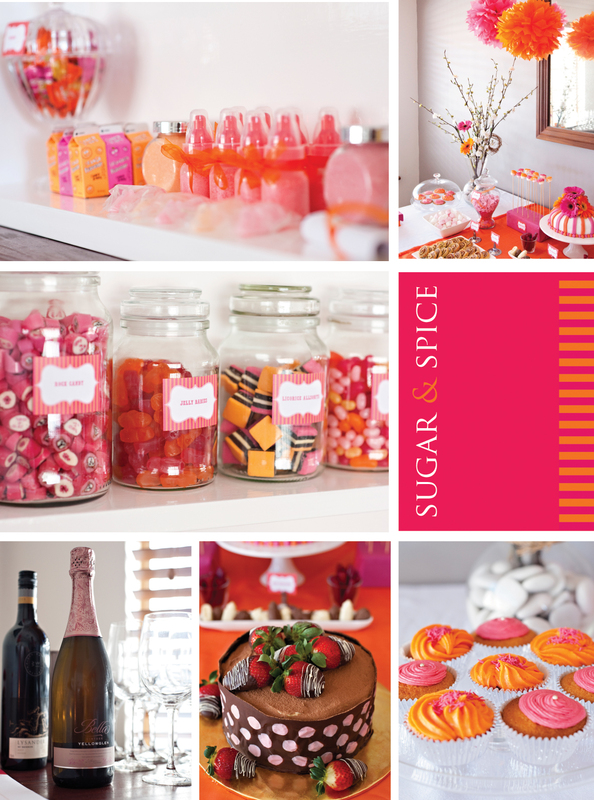 We had a guess the date, weight and length sheet that sat of the drinks table along side a mini pink and orange gumball machine and bottles of "Bella" pink champagne, chosen because the baby who we were celebrating will be named Isabella. A highlight of the afternoon was the birthing bead ceremony. It started with a gorgeous birthing bead kit from my friend Shannon at Sacred Stones Everyone was asked to bring a bead and a poem/prayer for Susie and her baby to wish them a smooth transition from womb to world. We sat in a circle and each person read their poem, wish or prayer then passed their bead around the circle, each person touching each bead to strengthen the love held within them. The beads were then threaded onto the birthing bead strand which Susie will have with her when she births so she has all our love, strength and prayers close. There were many tears shed during this ceremony and it was truly beautiful. At the end of the fun afternoon guests we asked to fill a bag from the Sweet shoppe which they did, taking home treats for their loved ones at home too. A beautiful afternoon for my beautiful friend full of emotion and full of love. You put in so much effort and it looks stunning. This is amazing, love the hot pink and orange. Oh and the sweet shoppe set up is just gorgeous. This is beautiful, Jennifer! 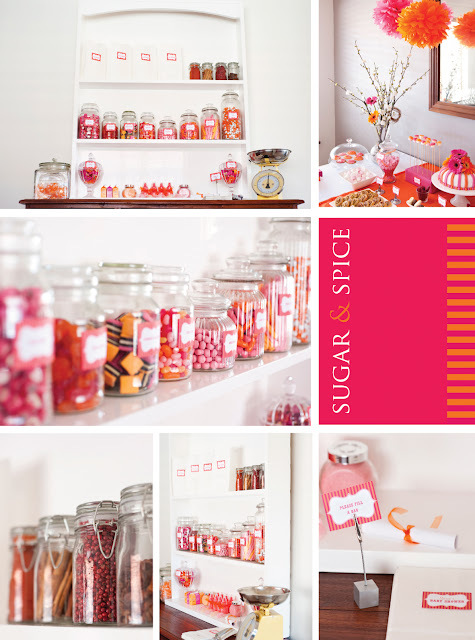 Love the colors and all the special touches...especially all the candy jars! Oooh Jen...I love this!! The colours really POP!! 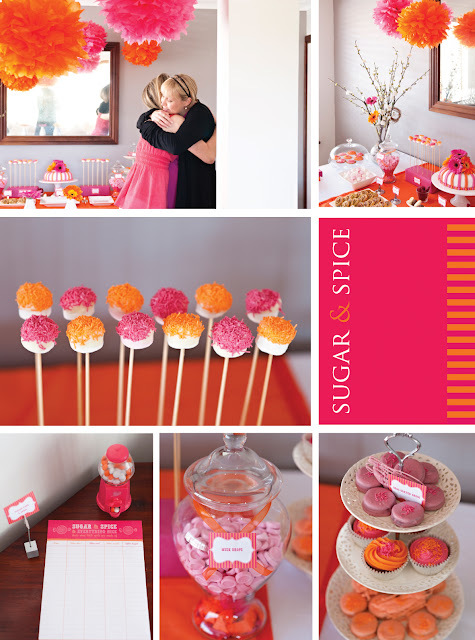 And that lolly shop setup is GORGEOUS!!!!! Beautiful Party! I am probably leaving this in the wrong place, but I found your blog thanks to Kate Landers Events! My favorite design of yours is the Cupcake invitations. Very cute! Jennifer, I am not only a new follower for your giveaway at Kate Landers Events, LLC, but for your inspiring work and use of colors. Your work truly motivates me! Thank you! 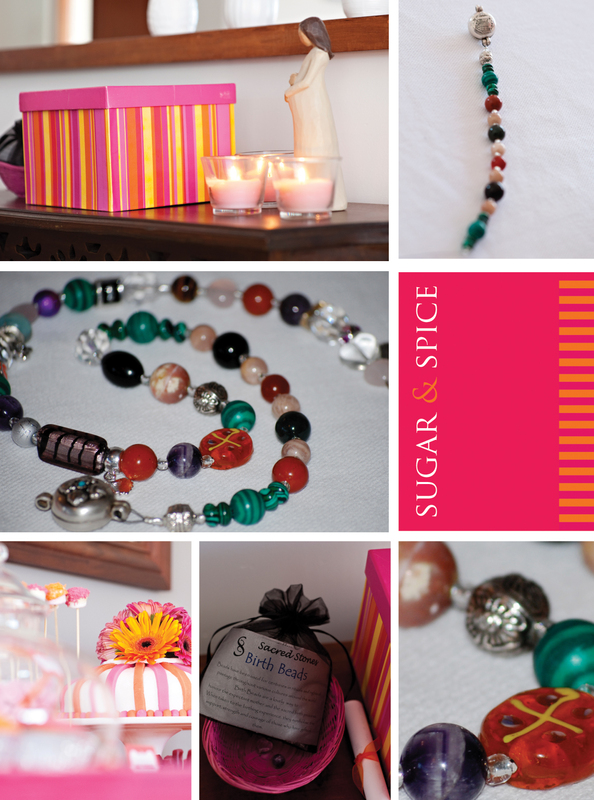 I'm a new follower thanks to the Kate Landers LLC giveaway... love your work! The color combination is just fab! Really nice work. So amazing! Love the colours - great job! Well done, the effort has certainly paid off, as the look on the Mum-to-be's face was just beautiful. My favorite Baby Shower! 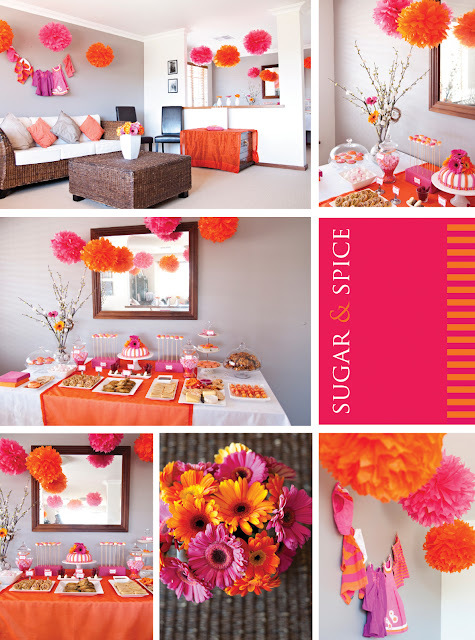 So beutiful, the combinations of orange + pink is great! Congratulations! Oh My, Sooo Adorable! Love The Use of Color. Very Creative Details ~ Perfect For An "Expecting A Little Girl Baby Shower" Or "Little Girls Birthday"! Amazing!! Love the color combo....the details, that sweet candy shoppe buffet!! Cute! !